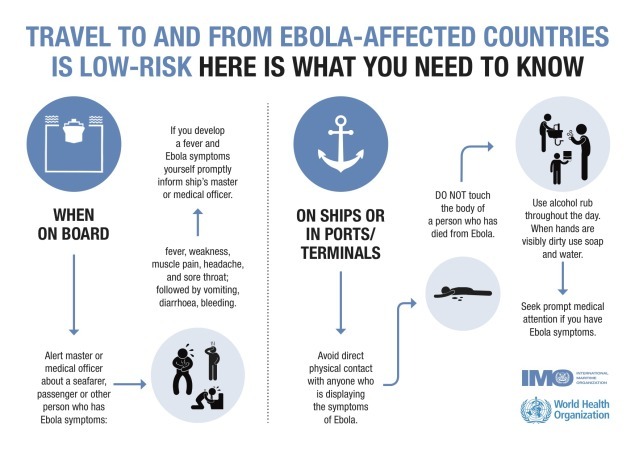 The International Maritime Organisation (IMO) have recently issued an infographic on avoiding the Ebola Virus Disease whilst traveling on a ship or whilst in port. Whilst this may not apply to many most of you, we thought that the images were handy. We also think that the threat of the Ebola virus shouldn’t be the only reason for keeping your personal hygiene high and washing your hands (perhaps this should be done even if your hands aren’t visibly dirty)!